By adding one letter, my tester this week goes from very good to exceptional! Who knew one letter could make such a difference, for such a little car. The little car in question is the 2016 Cadillac ATS and that one letter, that changes everything, is V.
The 2016 Cadillac ATS-V turns this compact car into something truly special. 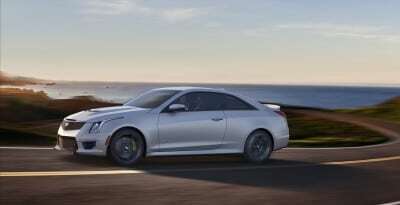 The ATS was already a car I’ve reviewed and enjoyed, as both a sedan and a coupe. 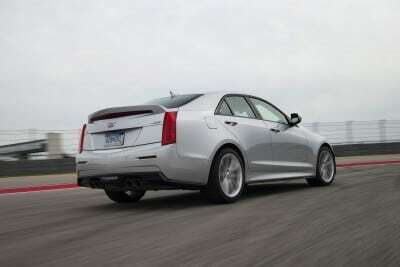 Its small stature made it so much more maneuverable than the CTS. Cadillac launched the V (for Vroom) first in the CTS and that made that the big bad wolf. The CTS-V rivaled many of the German luxury cars. But it was still too big, and lacked the hug-the-road vibe of some of the smaller German sports sedans. 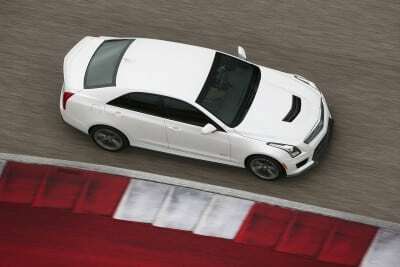 Thus, the ATS was given its victory badge with the ATS-V, new for this model year. 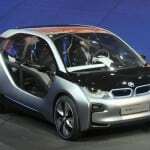 With it, comes a twin-turbocharged V6 engine that makes 464 horses and 445 lb./ft. of torque. 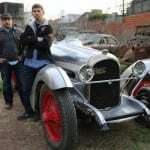 It has a top speed of 189 mph and a 0-60 time of 3.9 seconds. All of that output comes from a car that is 184 inches long and weighs 3,700 pounds. 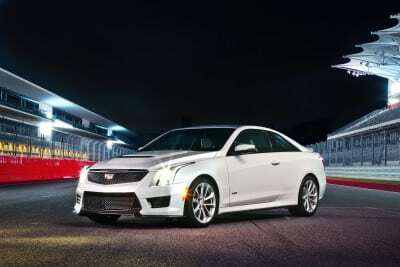 That’s the thing that makes the Cadillac ATS-V truly special. 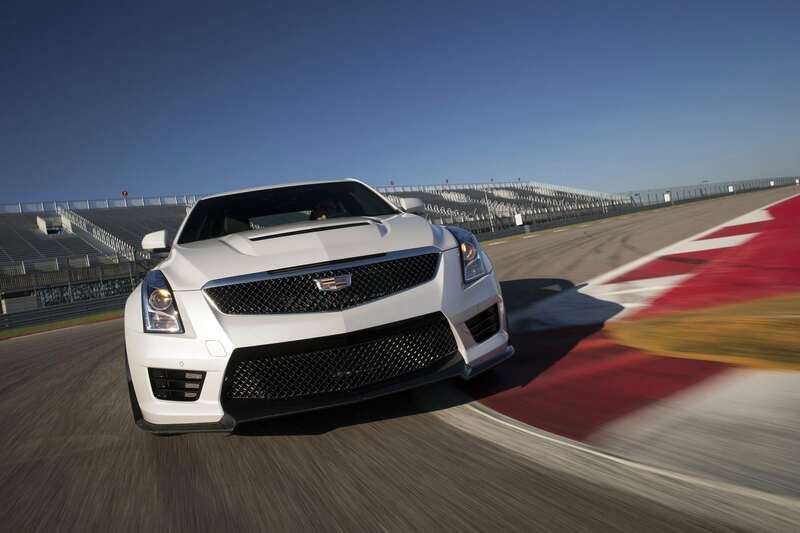 The small, squatty size of the ATS is conducive for track-ready engineering. The rear-wheel drive ATS has a six-speed manual transmission, but there’s also an eight-speed automatic transmission option. This is what our tester came with, and it’s an absolutely great transmission. Shifting is flawless. There’s no turbo lag whatsoever and there’s even paddle shifters for those who really want to add more enthusiasm! I drove the ATS in the dead of winter, with some snow on the ground. Normally a powerful, rear-wheel driven sedan will be more sled than car in those conditions, but the ATS-V actually handled itself well in snowy conditions. It did come equipped with winter tires, that for sure helped make it capable as an all-year driver. 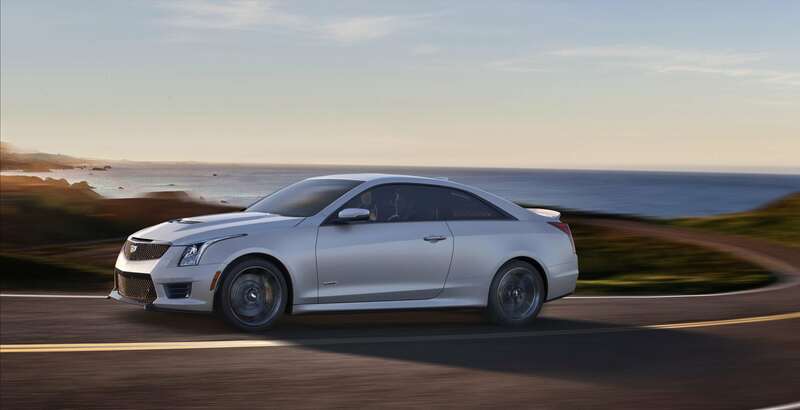 When Cadillac rebadged the CTS and then launched the ATS several years ago, it represented a change in the persona of the Cadillac brand. It still represents the epitome of luxury, but now, rather than being aimed at an older demographic, there’s more of an emphasis on aggressive styling, and now there’s aggressive engines to go with that styling. 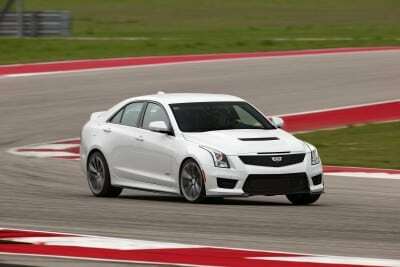 The ATS-V certainly looks more aggressive than its non-V brother. With the ATS-V there’s a carbon fiber hood with hood vent, 18-inch alloy wheels with noticeable red Brembo brakes, twin rear exhaust pipes, and a carbon fiber rear spoiler. 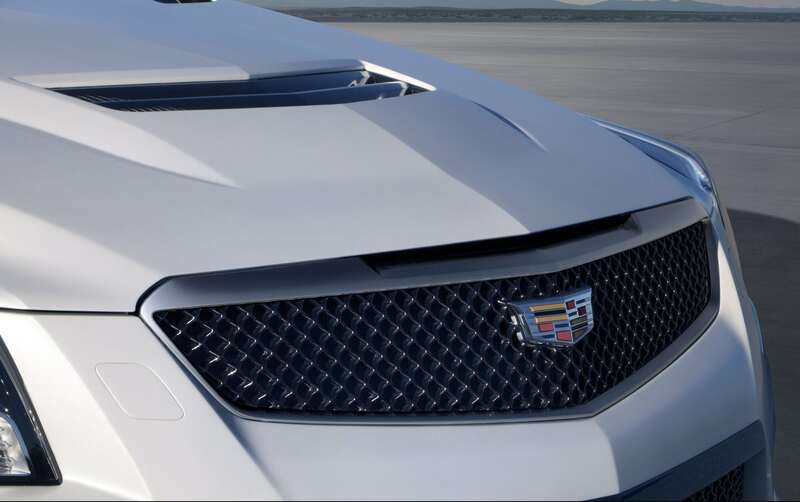 All of these features add to the already aggressive look of the ATS, and let it be known that V stands for velocity. 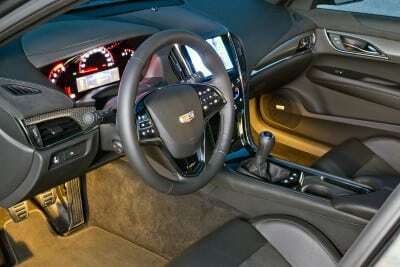 Inside, the ATS-V gets special treatment too. 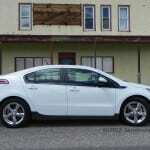 The regular ATS was aimed as a startup option for those who can’t afford a Cadillac. The more affordably priced ATS had a nice interior, but wasn’t gaudy in the interior. With the ATS-V, the interior is special, and worthy of the much bigger price tag. 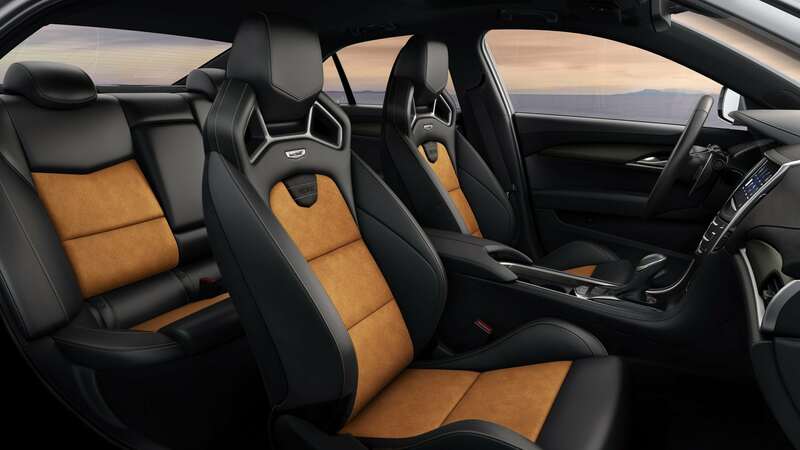 With the performance package, there’s Recaro performance seats, magnesium paddle shifters and carbon fiber trim. Front row passengers will find the racing seats to be comfortable. Although, I’ve never been one who enjoys these style seats, you can find the adjustment that will fit any body type. The back seat of the ATS is almost useless. As a coupe, there’s room for two passengers only in the back seat. The sedan claims a third passenger in the back, but there’s no way I’d torture anyone by having three people back there. Heck, it’s really only suited for one adult and then let them sit long ways across the back seat, as that’s the only way they’ll have legroom. The ATS is not designed to be a family vehicle, nor transport multiple passengers for a long distance. 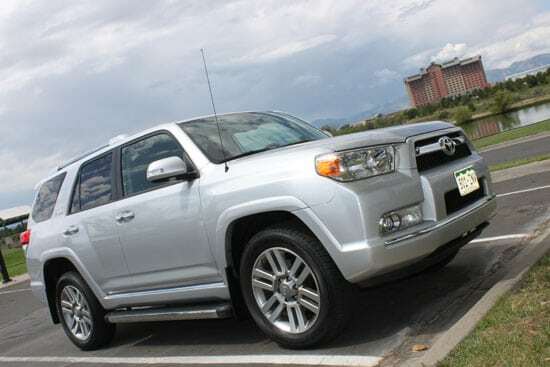 It’s a great daily driver for executives and those who really want to add enthusiasm to their daily commute. 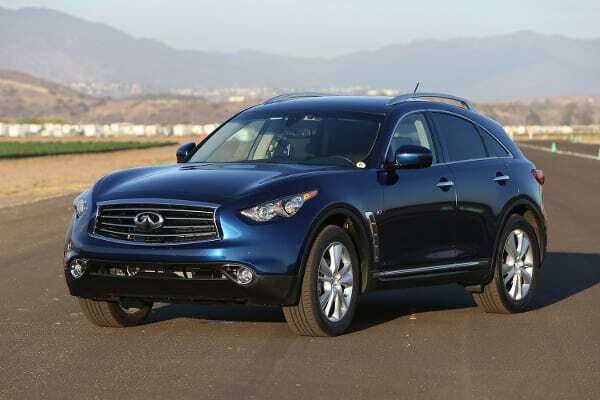 The small size, capable performance and aggressive styling is ideal for both city driving and highway driving. 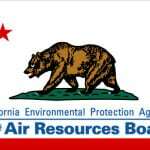 With the automatic transmission, the ATS has an EPA rating of 16 mpg/city and 24 mpg/highway. The manual transmission gets one better mpg in the city. In a week’s worth of driving, on snowy suburban roads and highways, I averaged 18 mpg. There’s only one trim for the ATS-V, but there are several options that can be added to this sports sedan. 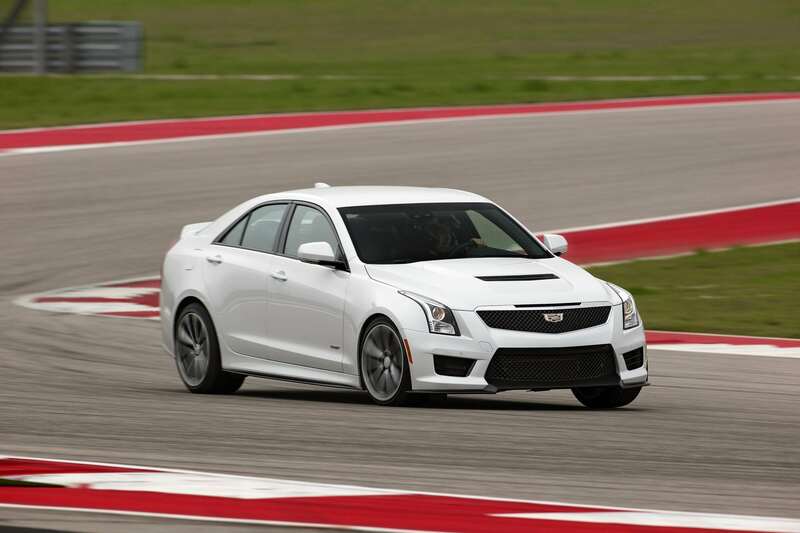 While the regular ATS can be had for the low to mid $30s (starting), the ATS-V has a starting price of $60,465. 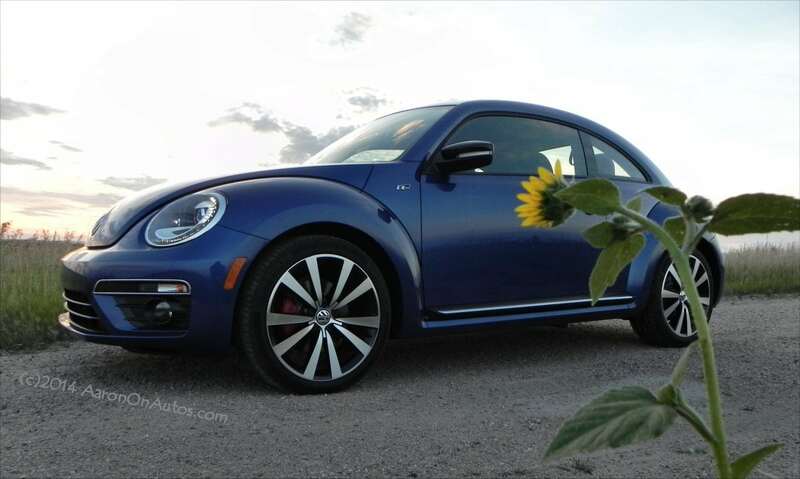 Loaded with options that included the track performance package and special paint color (beautiful red obsession), my tester had a final MSRP of $75,835. Paying that kind of cash for a small, impractical car (or coupe) seems outrageous. It’s priced to compete against German rivals for sure, and in both styling and drive performance, it certainly is competitive. 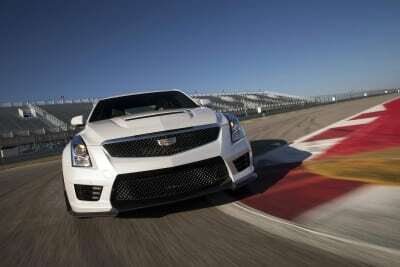 By adding the letter V to the ATS, Cadillac has made an already fun-to-drive vehicle into something extremely memorable. Whatever that V stands for, it sure is a lot of fun!